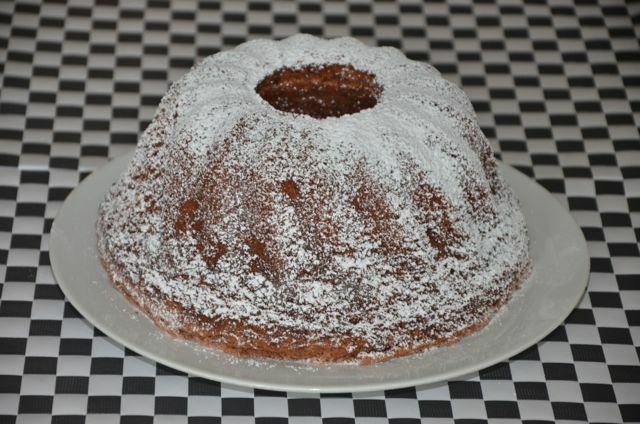 I've always been a sucker for a bundt cake… I don't know why, but for some reason it feels like the shape makes it taste better. It's also a cake shape that I don't see very often, its exclusivity makes it special by default. I picked up this bundt cake pan while on holiday in Italy earlier this year, so I couldn't wait to put it to use with something deliciously decadent! This gorgeous cake is perfect with a cup of coffee or tea and I even like it for breakfast or brunch as it isn't too terribly sweet. 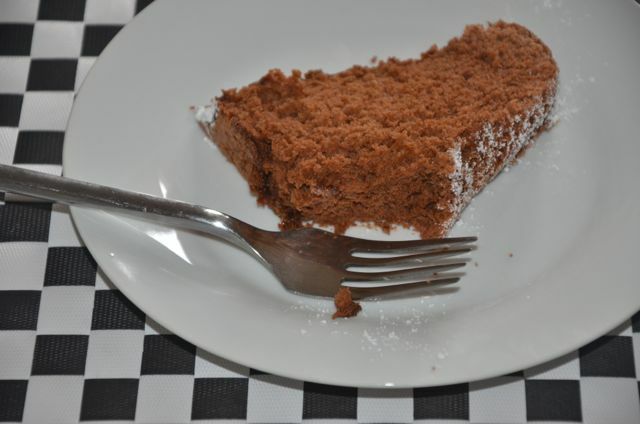 The texture is very light and fluffy, so it's also not too heavy to have earlier in the day. Whatever the time, it's a cake I look forward to sharing with friends while catching up. It's the kind of cake you want ton your countertop for unexpected guests and it's super easy to make. 1. Lightly coat the inside of the cake pan with non-stick cooking spray and preheat the oven to 175°C. 2. In a medium bowl, mix the flour, sugar, baking powder and cinnamon together with a wire whisk. 3. Separate the two whole eggs and in another bowl, whisk the walnut oil, egg yolks only, espresso, cocoa powder and vanilla together until it's all smooth. 4. Fold the flour mixture into the wet mixture until well combined and set aside. 5. In another bowl, beat the 6 egg whites with a hand mixer or in the bowl of a stand mixer until frothy. Add the cream of tartar and continue beating until stiff peaks form. 6. Slowly and gently, fold the egg whites into the batter until well mixed. Be very careful to maintain as much of the fluffiness of the egg whites as possible. 7. Pour the batter into the cake pan and bake for 45 minutes to an hour (oven times may vary) until a dry spaghetti noodle inserted into the center comes out clean. 8. Leave the cake in its pan to cool for about 20 − 30 minutes. Then invert onto a serving plate and flip over, leaving the tin in tact until the cake is completely cooled. 9. 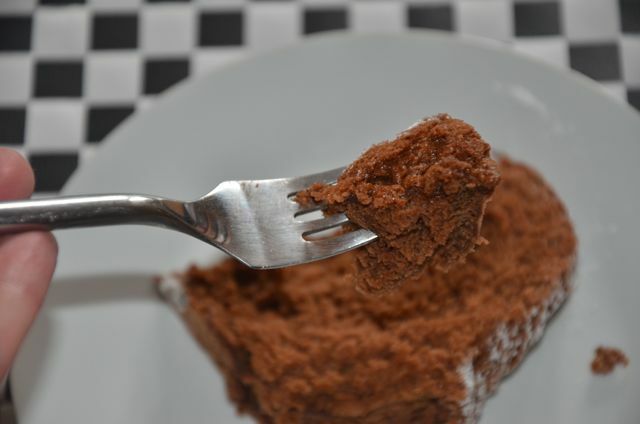 When the cake is completely cooled, run a butter knife around the bottom edge of the tin to loosen the edges before attempting to lift the pan off the cake. Do this with caution. 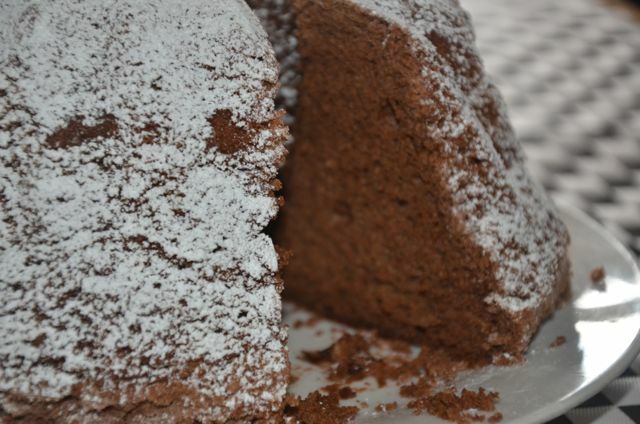 To serve, dust the cake with icing sugar.